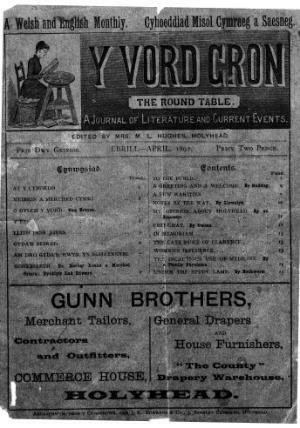 A monthly bilingual general periodical circulating in the Holyhead area. The periodical's main contents were local news, articles on general subjects, serial stories and poetry. The periodical's editor was Margaret Louisa Hughes (d. 1931). Publisher Details: J. R. Edwards & Co.